Reiki is spiritual in nature it is not a religion, it is both powerful and gentle. You can treat yourself and others. Reiki is special kind of healing energy that can only be channeled by some one has been attuned to do it. Reiki works in harmony with all other kind of treatment. It will improve the result of any medical treatment. The ability to learn Reiki is not dependent on intellectual capacity.It does not take years of practice. It can be easily learned by anyone. Once you have received a Reiki attunement, you will have Reiki for the reminder of your life.Physical proximity is not a necessity in transforming the life energy from a Reiki master to a patient suffering from serious illnesses. The healing power of Reiki is passed from a master to student. Self teaching is absent in case of Reiki. There are wonderful healing experiences from around the world. Many of such experiences are nothing short of a miracle. In Japanese, the character Rei stands for holy, spirit, mystery, gift, nature spirit or invisible spirit; and the character ki means energy, nature, scene, talent and feeling. Usually Rei-ki means Universal Life Energy, the essence of the Universe implying the one-ness of the universe. The Rei-ki healer utilizes (channels) the universal life energy for man’s physical, mental, emotional and spiritual health. From Japan, Rei-ki has spread to other countries, particularly North America. 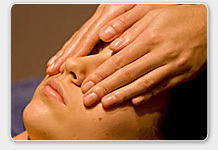 Reiki practitioners are also in Kerala.